Grinding your teeth together can be literally a huge pain. It has many consequences that ruin your teeth and your smile. You will be very surprised to know that it is a huge problem that affects many people. So you can stop feeling alone about this particular condition. If by any chance you feel sad or despair about this, do not worry. You can stop grinding your teeth with this set of tips and tricks. The causes of bruxism can be multiple. Most of the cases point to anxiety disorders. It can be stress too. Whatever the reason may be, it is such a bummer that your smile can be ruined for something that can be spin out of control. Sometimes the clenching can be involuntary as the patient grinds their teeth in their sleep. In some other cases can be just some kind of tic or nervous response. As I was stating above, the most common cause for bruxism is anxiety and stress. If you cannot control it as adequate it can develop serious condition. So we have to address this and work on beating those nerves. Therapy can help a lot to reduce and solve any form of anxiety. Be careful with meds, as it can be a dangerous. Anyways it is important to learn how to relax. Doing physical exercises can help a lot too. Seriously, it is so nice to feel relieved after a good work out session. You feel accomplished an d exhausted enough to reduce any stress and anxiety levels. This will definitely help with your bruxism. Although the problem can persist when the patient grinds their teeth in their sleep, but it is not impossible to solve. Seek the help of a dentist to evaluate your case. This is an excellent opportunity to remind you that you should book an appointment at least twice a year. This way you can get regular checkup and cleaning to keep your smile healthy and beautiful. 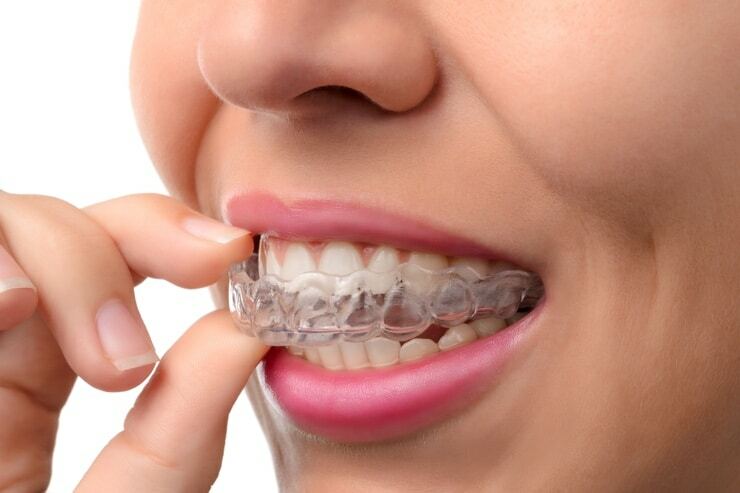 If you have some type of clenching problem your dentist can recommend a nightguard for you to wear while your sleep. It is such a cool solution to stop grinding your teeth at night. In conclusion you should seek your dentist for help. And if you are interested in saving money in dental, come to Dental Solutions Los Algodones to get the best dental treatment for the best prices. We offer you the best of the best, including treatment for bruxism and more. You can find the best prices, ADA standards and a staff fluent in English. Save more than 50% in dental by crossing the Andrade border passing and coming to Los Algodones Mexico.